It came to my attention that Rebecca Harris from Rebecca Harris at www.rebzharris.com is using a Vernon Chalmers copyrighted image without permission. When visiting the Rebecca Harris website the Vernon Chalmers copyrighted image is located towards the right top side. Rebecca Harris is doing a dissertation about Wagtails and it is expected when post-graduate students do research they will be professional in their acquisition of images. This is the Cape wagtail image that was taken by Rebecca Harris without permission from a Vernon Chalmers website in Cape Town, South Africa. 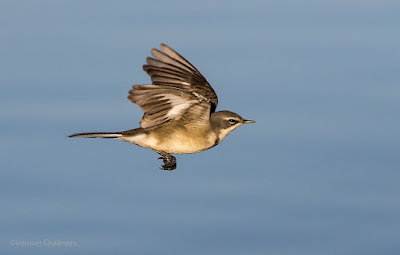 UPDATE: Rebecca Harris removed the Vernon Chalmers Photography Cape Wagtail image, but it is still present in the Google Image Search Index associated with the www.rebzharris.com domain name.